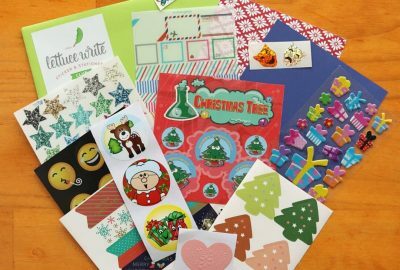 When Lettuce Write started in April 2017 we had in mind a single sticker and stationery subscription box, the Romaine Around. 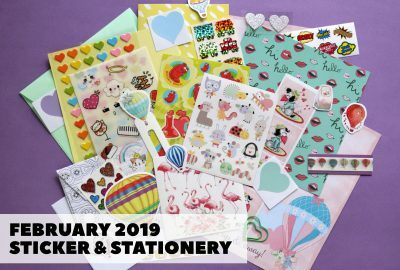 Not long after launching we felt that some people might want something a little smaller and more “bite sized” when it came to a stationery subscription so we put together the “Baby Spinach” mini sticker and and stationery pack (which has become a sticker only subscription box). 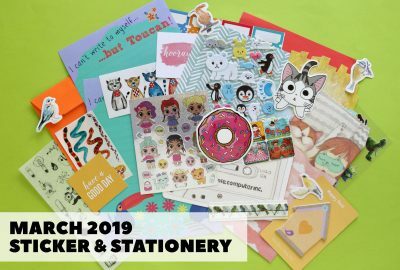 In May my husband and I thought, wouldn’t it be great to have an actual sticker and stationery box that has all of the wonderful larger items you can’t put in an envelope, an extravagant sticker and stationery subscription box brimming over with all the goodies that make us gooey for stationery. 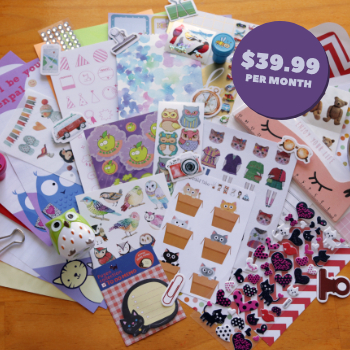 The MEGA sticker and stationery pack was born and we’ve called it the Gourmet Greens. Either way, we’re very excited to present our first Gourmet Greens subscription box available for $39.99 per month with FREE shipping in Australia. Contact us directly if you’re outside Australia and want to subscribe for an accurate shipping quote.